A cinch to throw together. 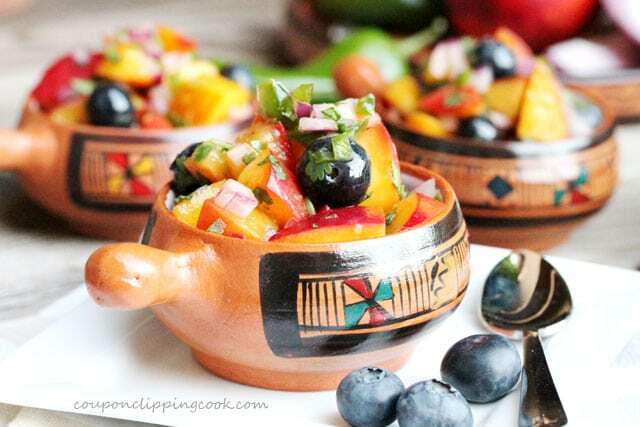 For how easy it is to make, I think a fruit salsa is pretty impressive….an excellent ROI, or return on investment for the time it takes to make it. 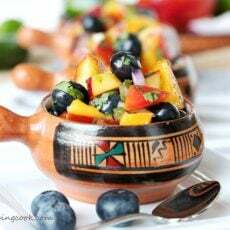 This salsa has a wonderful combination of flavors; fruity, sweet, spicy, grilled, onion and cilantro. 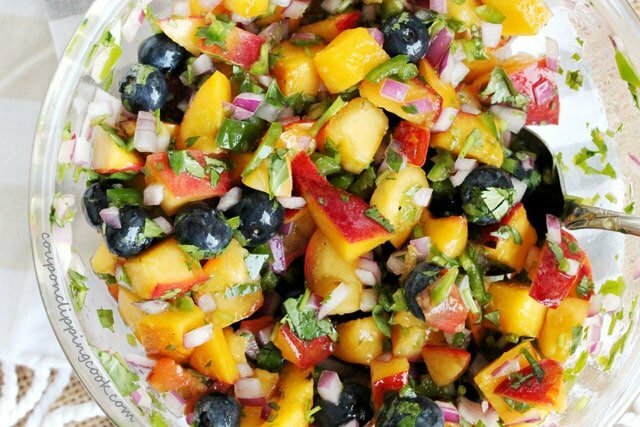 It’s juicy and the colors are so darn pretty and vibrant that it can dress up fish or chicken in a matter of minutes. 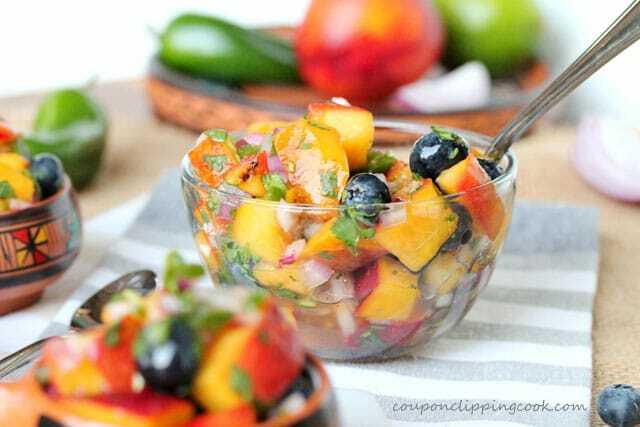 This delightful salsa is made with grilled nectarines. 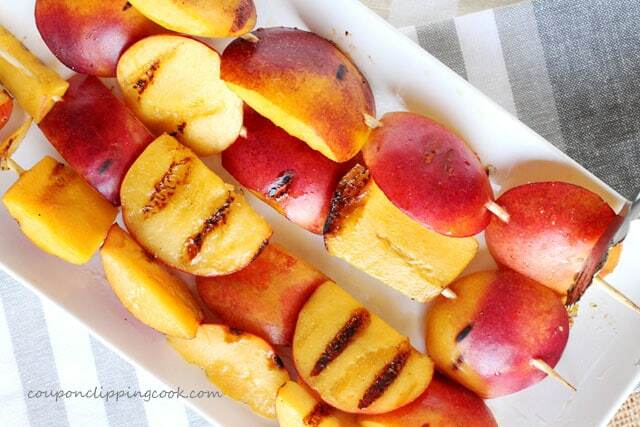 To me, when grilled, the nectarines are a bit sweeter and softer. 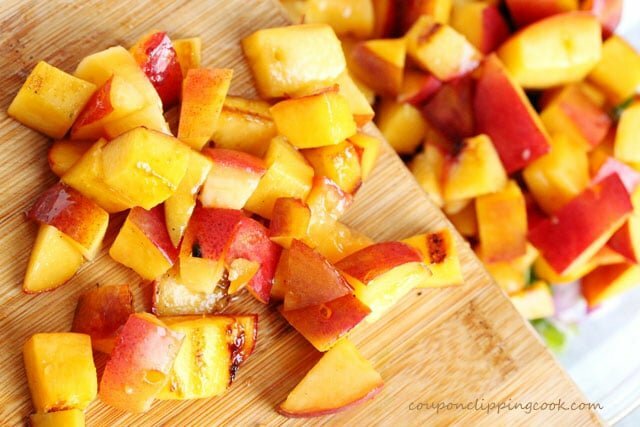 The problem I have when I grill nectarines is that I sample them….one after the other because they’re so good. And then I run short for my recipe. 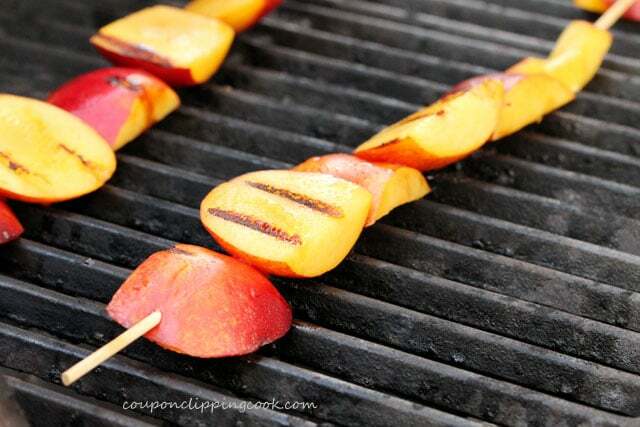 So if you’re like me, add a few more skewers of nectarines to the barbie. 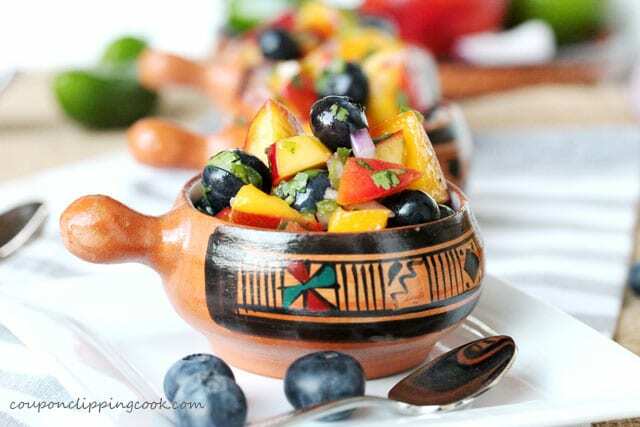 This delicious salsa can be served as a side dish; topping for shredded beef or pork; fish, chicken, tacos, nachos, tostadas; as a dip for pita or tortilla chips; or as a snack. 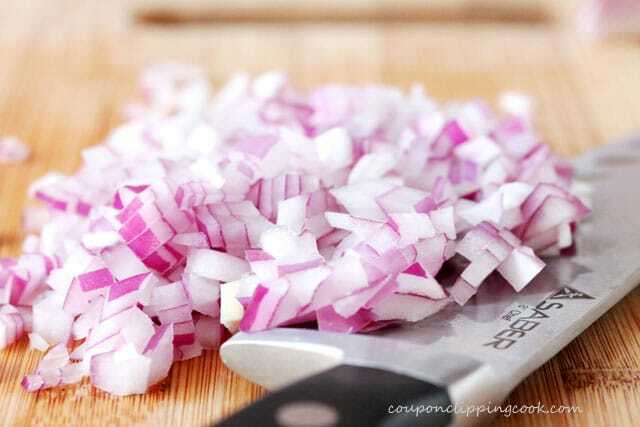 …cut the fruit from each side of the seed in large pieces. 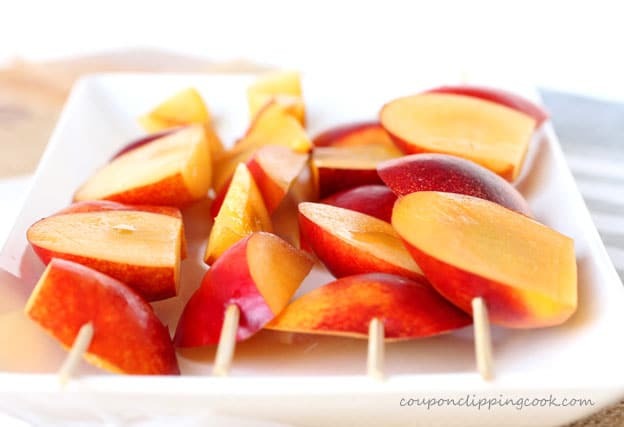 Skewer the pieces of nectarines length-wise. 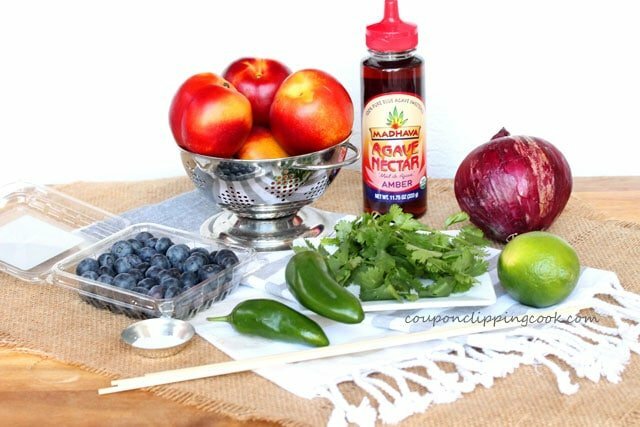 Drizzle agave nectar on the nectarines. 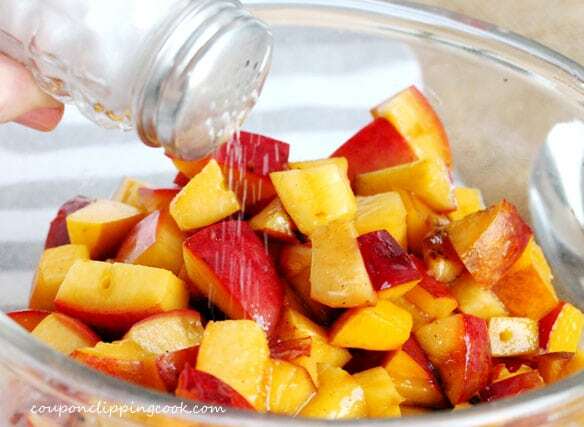 Using a cooking brush, spread the nectar on all sides of the nectarines. 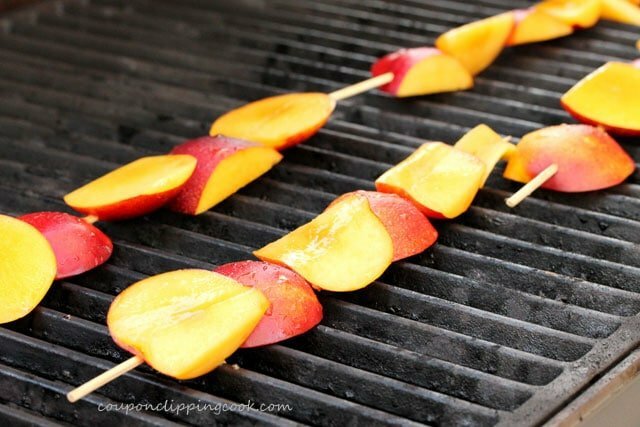 Grill the nectarines until they have grill marks on each side (about 5 minutes on each side). 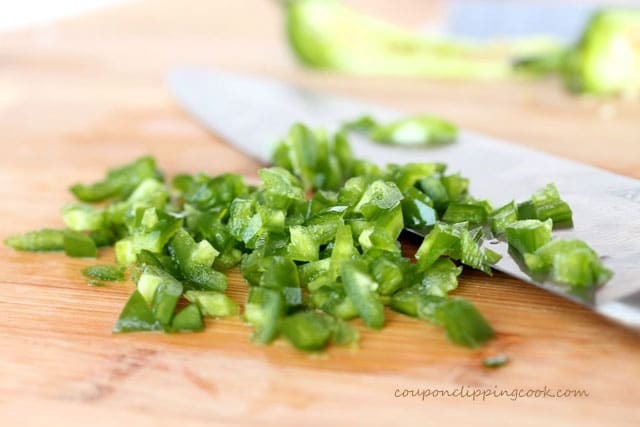 Just before chopping the jalapenos, an easy way to get rid of the seeds is to cut off the sides of the pepper first so that the seed area in the middle is completely separate like in the picture above. 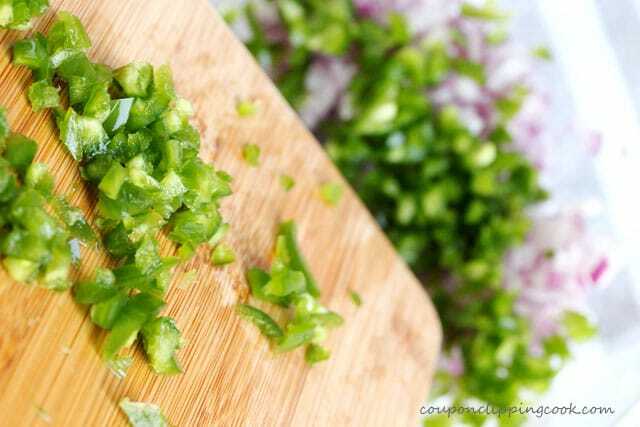 Then just discard the middle seed area, and chop away at the rest of the pepper. 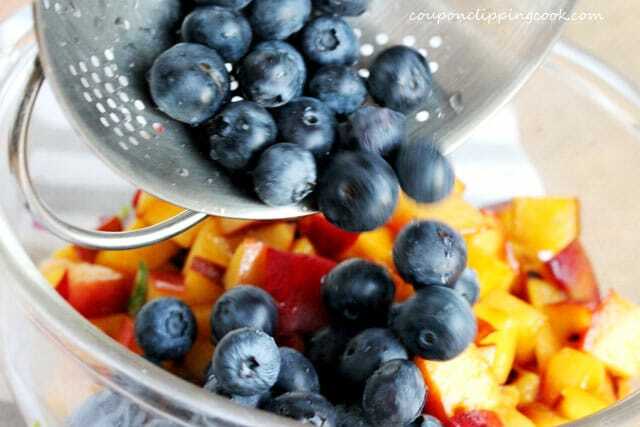 Add agave nectar (to taste). Gently mix in the nectar. A cinch to throw together! 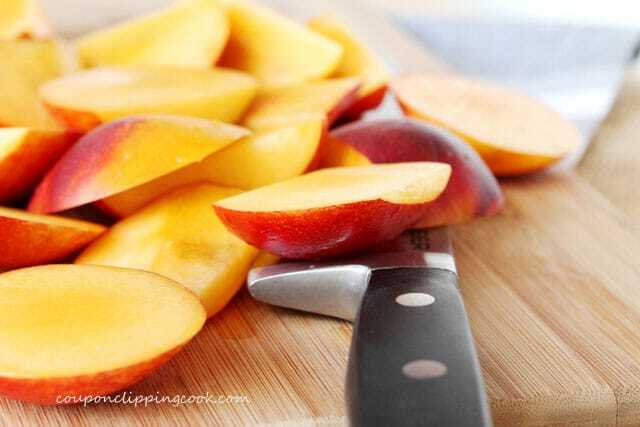 For the Nectarines - With the skin still on the nectarines, cut the fruit from each side of the seed in large pieces. 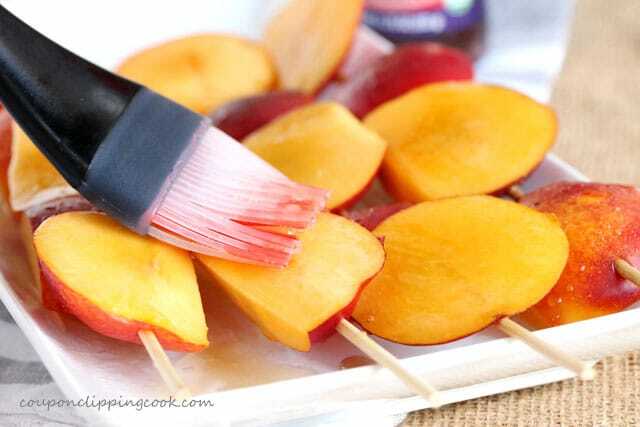 Skewer the pieces of nectarines length-wise. 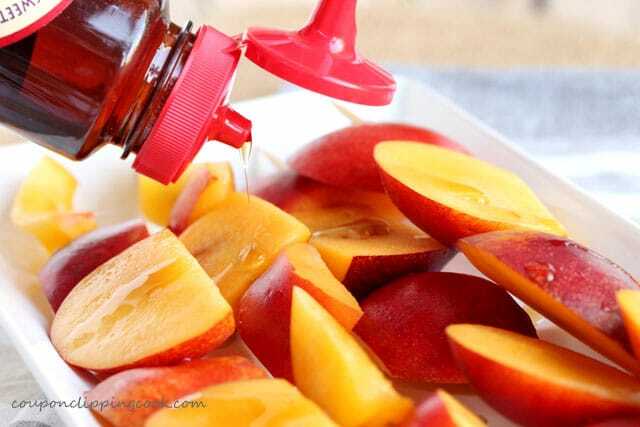 Drizzle agave nectar on the nectarines. 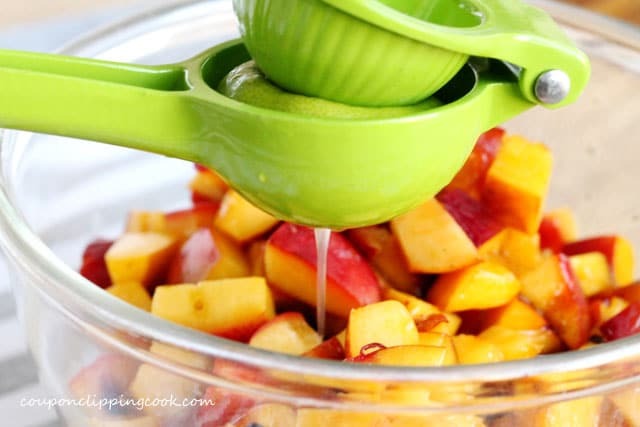 Using a cooking brush, spread the nectar on all sides of the nectarines. 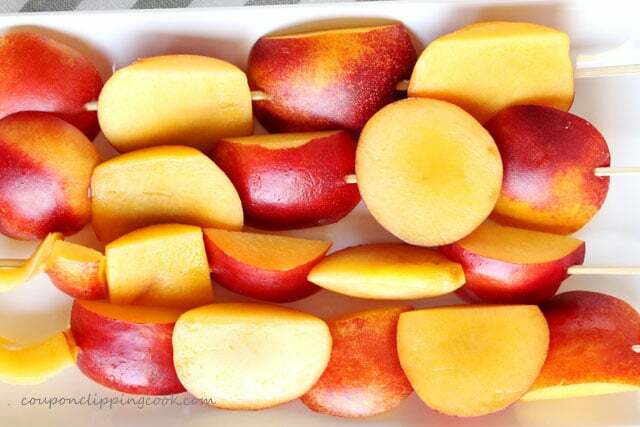 Grill the nectarines until they have grill marks on each side (about 5 minutes on each side). 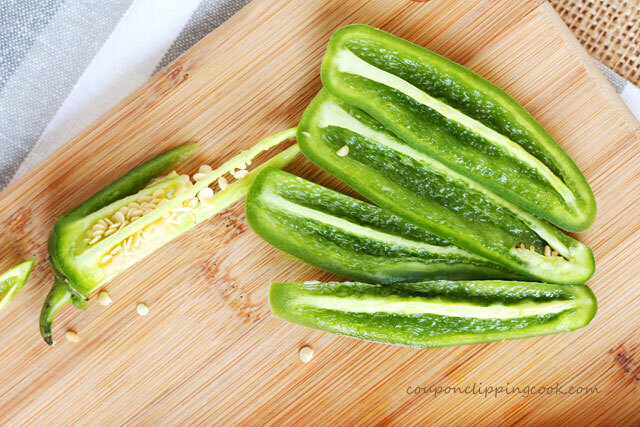 Remove from the grill and set aside to cool. 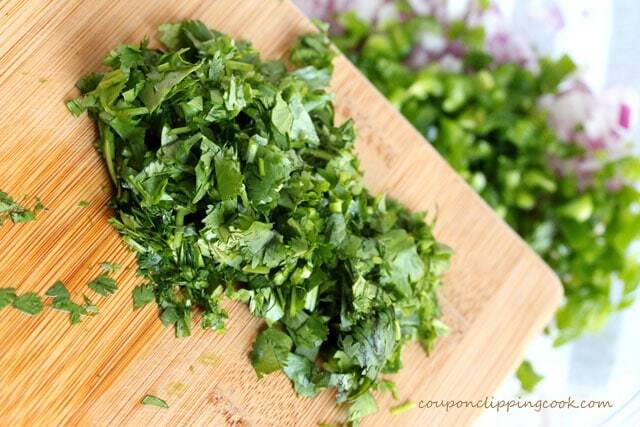 For the Salsa - In a medium size bowl, add the onions, jalapenos, and cilantro. 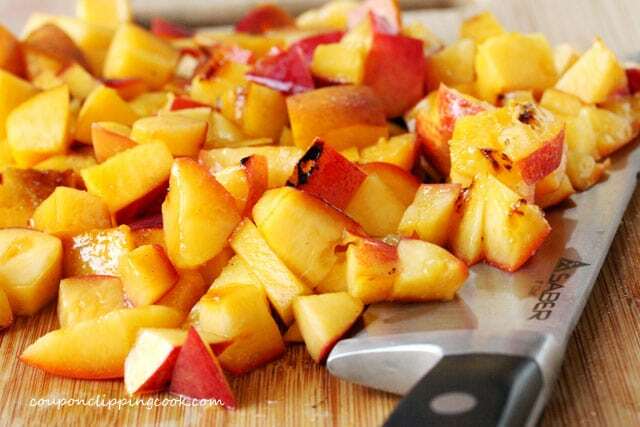 Chop the nectarines in large enough pieces so that they are not mushy. 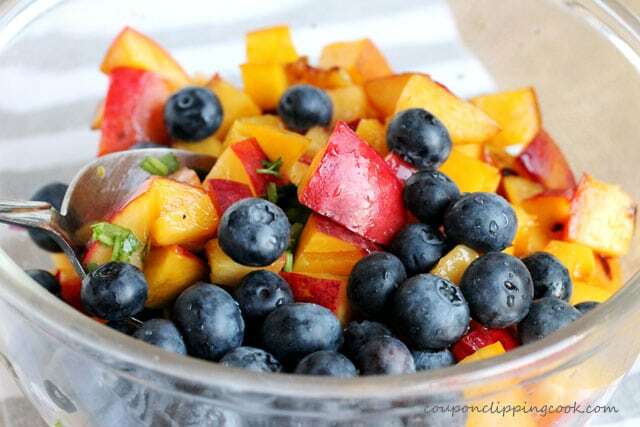 Add the lime juice, salt, and blueberries. 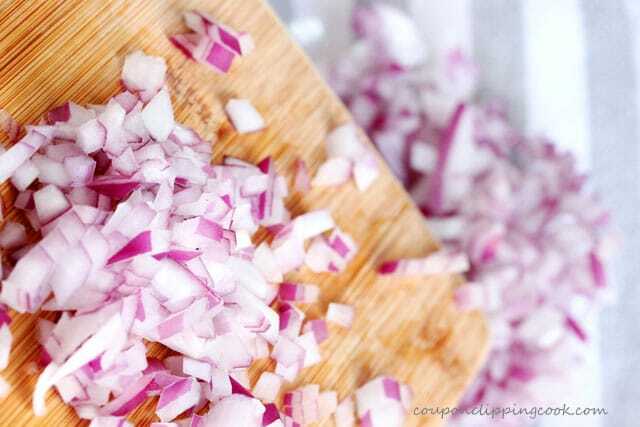 Gently mix the ingredients. 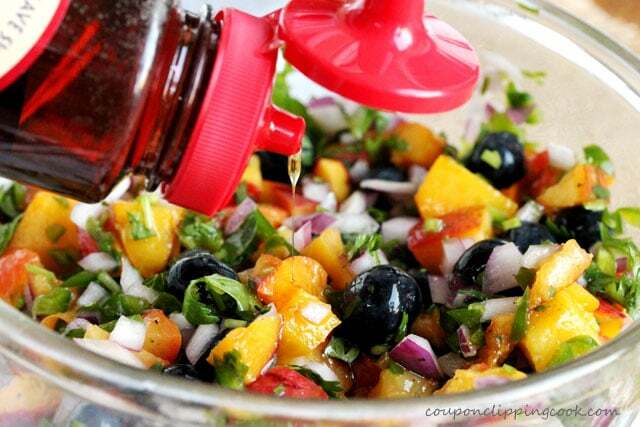 Add agave nectar (to taste). 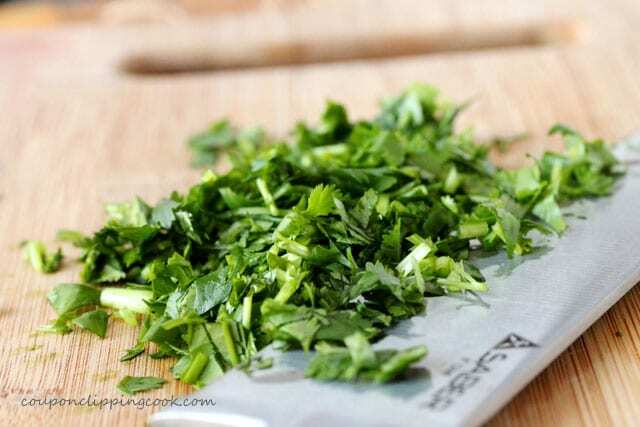 Serve as a side dish, on top of fish or chicken, or by itself as a snack. 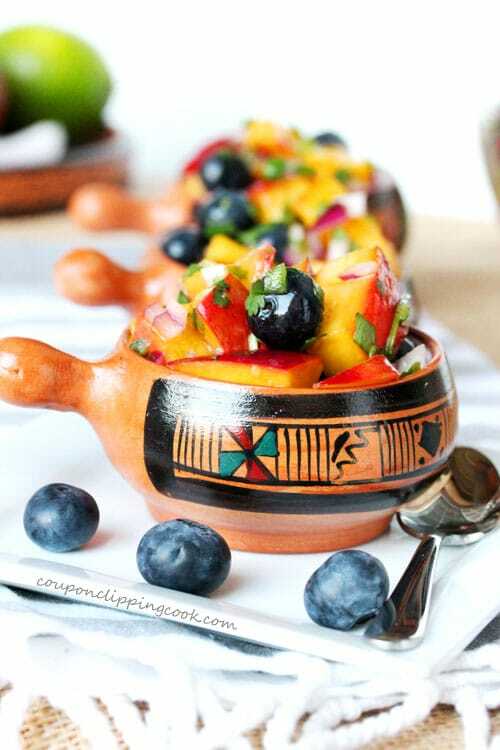 Those bowls are so cute! If only I didn’t need to fly to Peru to get them! Hi There, thank you. 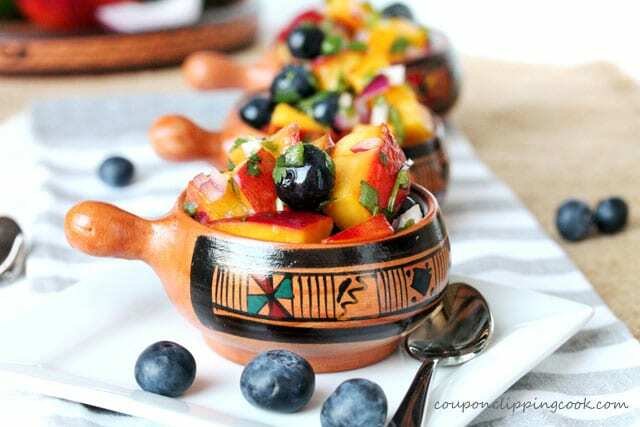 I would be buying more of those cute bowls if they weren’t so far away! Have a nice rest of the weekend.